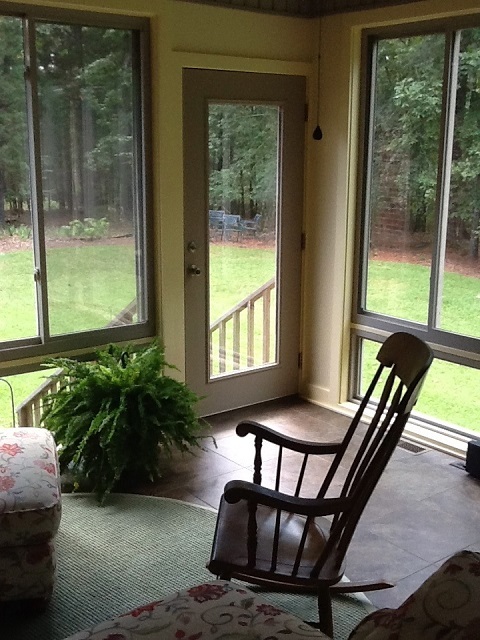 This open porch and sunroom combination in Elgin, SC, provides the best of both worlds! Along with the end of daylight savings time which means the early of arrival of evening here in the South, there is also a chill in the air that signifies the end of the outdoor living season. Just because the outdoor living season has ended doesn’t mean you have to cuddle up inside to keep warm and miss the splendor of nature that is still unfolding all around you. This is the time of year when many homeowners consider the ever-popular option of closing in their existing deck, or a portion of their deck, and converting it into a 4-season room or sunroom that can extend your enjoyment into and beyond the cooler months of the year. A sunroom provides a place to enjoy nature when the weather conditions create a situation where it may not be ideal to go outside. A sunroom delivers all of the benefits of being outdoors without actually being outdoors. 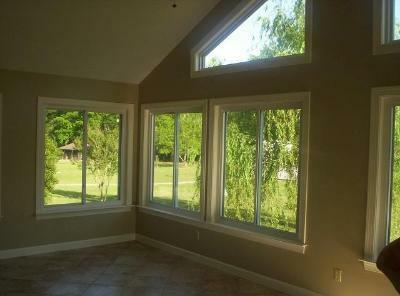 A sunroom is a great place to entertain, spend valuable family time, dine and relax. Because of the abundance of natural light a sunroom is also an ideal place to nurture tropicals and houseplants. Converting a deck into a sunroom will extend your interior living space and add value to your home. 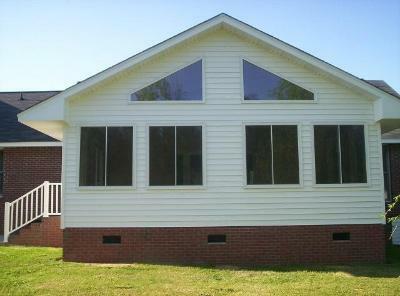 In many cases, Archadeck of Central SC can convert your backyard deck into a sunroom. If you decide that you may want to convert your deck into a sunroom there are prerequisites that need to be addressed prior to moving forward. The first consideration that has to be addressed is the structural integrity of your existing deck. Your deck’s substructure must be able to accommodate the weight of a roofed structure. Many decks are not built to withstand the weight of adding a roof. In order for a deck to be able to withstand the weight of a roof, the foundation of the deck will have to extend all the way to the corners of the structure. In cases where the foundation does not extend to the corners, amendments must be made to extend the foundation and new footers will have to be added in order to safely support and hold the weight. 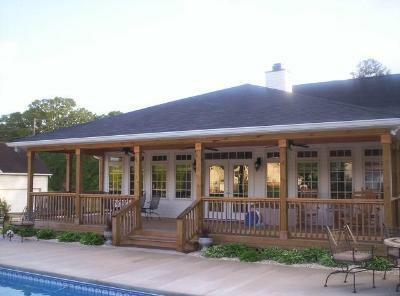 Archadeck of Central SC can perform a deck inspection to determine whether your deck fits conversion criteria. Depending on the results of your deck inspection we will discuss our recommendations as to how to proceed with getting the deck structurally compatible to withstand a 4-season room conversion. 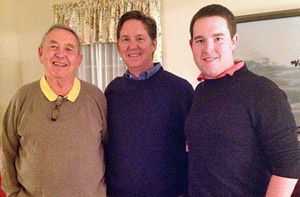 Once the issue of foundation reinforcement has been addressed, the next step is to decide which type of conversion would best suit your individual needs. In most cases, this choice will depend on your geographical location, individual needs and whether the area you live in experiences mild or harsh autumns and winters. A four-season room or sunroom conversion serves as an extension of your home’s living area as well as an extension of your outdoor living area. These outdoor rooms give you an unobscured view of nature by the use of numerous windows that sometimes even feel and function as window walls. 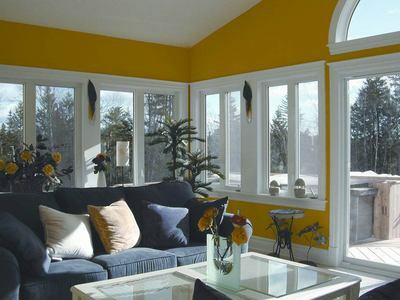 Sunrooms can be enjoyed year-round even in the event of snow. A sunroom or four season room is what is referred to as “a conditioned space” because it requires an HVAC system just like that of an interior room addition. Or instead you may use a wall- mounted electric inversion heating and cooling system that offers individual room control. Your heating and cooling choice is an important consideration. Choosing the right conditioning medium depends on your needs and budget and should be addressed early into your conversion project. A benefit of converting your deck into a sunroom or four season room is the freedom of material choices that can be used within to finish out your structure. A whole new realm of design choices open up to sunroom and 4 -season room owners. The same materials that can be used safely within an interior room can become finish options for your sunroom or four season room. These include Sheetrocked walls, carpet, hardwoods and a myriad of other design choices. Another benefit when considering furnishings and decor within your new space is that the furniture used within your structure won’t have to be weatherproof. The world is truly your oyster. You can gain more design ideas and inspiration by visiting our sunroom photo gallery, and our three and four season room photo gallery, located on our website. This entry was posted in Outdoor living space design and building, Outdoor Rooms, Sunrooms, Three and Four Season Rooms and tagged Archadeck of Central SC, Archadeck of Central South Carolina, Central SC combination outdoor living spaces, Central SC deck builder, Central SC deck designs, Central SC outdoor rooms, Columbia SC 4-season rooms, Columbia SC deck to 4-season room conversions, Columbia SC deck to sunroom conversions, Columbia SC four season room builder, Columbia SC outdoor living, Columbia SC Sunroom Builder, Columbia SC sunrooms, considerations when converting you SC deck to a sunroom, deck to sunroom conversion design ideas, four seasons rooms in west Columbia, four seasons south carolina contractor on November 5, 2013 by archadeckofcentralsc.